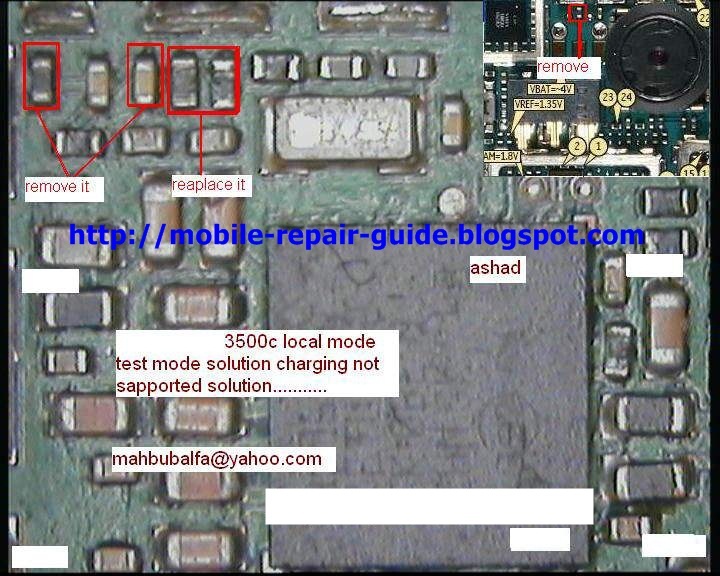 Nokia 3500c local mode problem usually caused by hardware problem, based on our experiences, there are three parts that causing this problem. 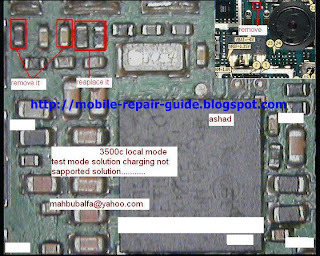 Here, we provide the picture relating to Nokia 3500c local mode problem, this picture show you what parts that need your attention. To repair the local mode problem, usually you need to remove some resistor or capacitor, and through this picture, we will guide you what part that need to removed.